On 7th June 2017 the ‘Increasing accuracy of Powdery Mildew (Ascomycota, Erysiphales) identification using previously untapped DNA regions’ thesis was examined. Corrections for the thesis were accepted on 19th June and the Thesis was printed, bound, and submitted on 21st June. 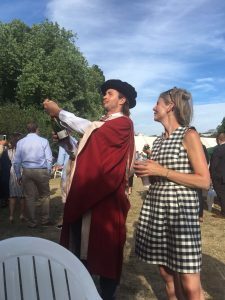 All in time for Dr. Oliver Ellingham to graduate on 7th July. The three-hour PhD Viva was expertly overseen by internal examiner Brian Pickles, external examiner Pietro Spanu, and chairperson Rob Jackson; after a brief outline of the thesis by myself the examiners proceeded through the 300-page tome questioning various analytical techniques, mistakes, typos, and far-fetched claims. Certain questions raised were worthy of discussion and I was humbled to hear the panel often deferring to my expert knowledge and supplement it with their wiser, general knowledge. Throughout the viva it seemed that I was the most aware and therefore critical of the projects failings. Flatteringly, the examiners were regularly happy to overlook these, aware that a PhD can only achieve so much. 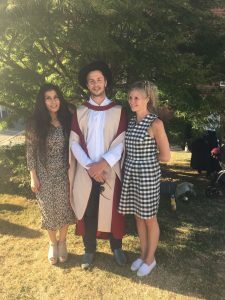 The panel were complementary on the unique nature of my research; combining samples sourced from citizen science with useful hard science and recommended me to the University for award of the doctorate, subject to minor corrections. The outcome was a room of four happy scientists, many more waiting nervously outside for congratulation, and a visit to the pub. 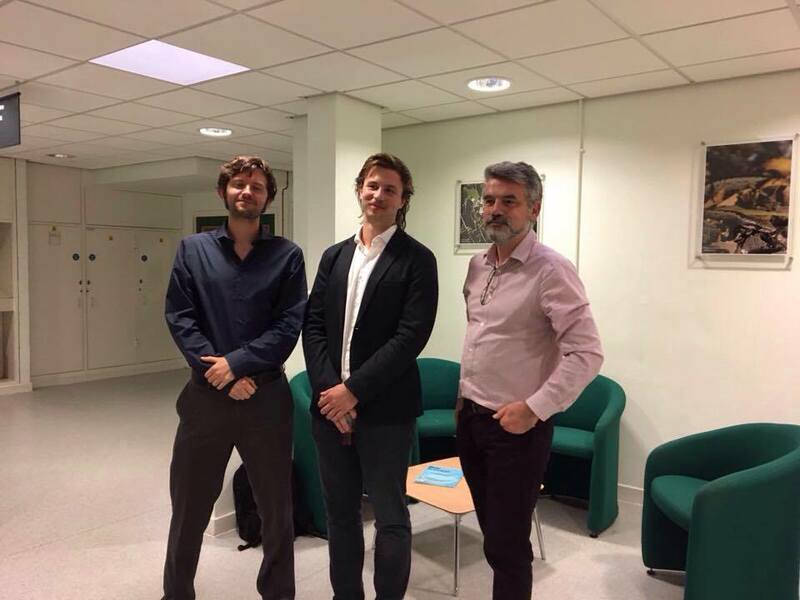 Brian Pickles, Oliver Ellingham, and Pietro Spanu after a successful PhD thesis defence. The proceeding two weeks were characterised by intense work punctuated by days of waiting, all resulting in seven copies of a high quality PhD thesis. 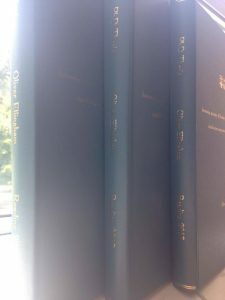 These were contributed to the University of Reading Library, the School of Biological Sciences, my supervisor Alastair Culham, and my funders the Royal Horticultural Society, with the remaining copies kept for myself, my friends and family. July 7th has since come and gone and will be remembered fondly as I graduated alongside lab mates Anas Tawfeeq, Azi Jamaludin, and Hassan Rankou. 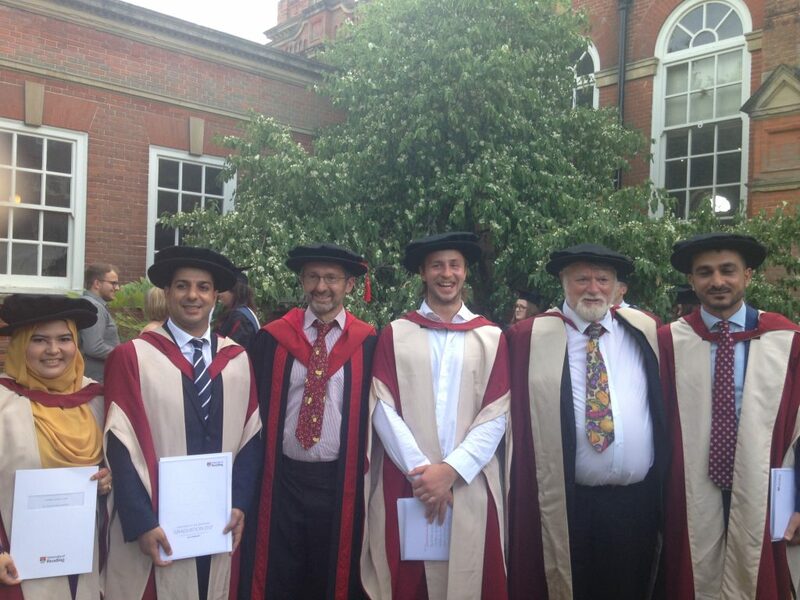 The Culham Research Group graduates. Oli, with Mum and friend. This entry was posted in Herbarium RNG, PhD research, Public Engagement with Science, RHS research and tagged #PowderyM, Erysiphaceae, Erysiphales, Graduation, Oli Ellingham, Oliver Ellingham, PhD Viva, Powdery Mildew, RHS, Royal Horticultural Society, Thesis, Viva, Viva voce. Bookmark the permalink.